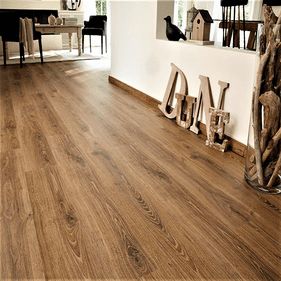 Tarkett laminate flooring offers some of the strongest, most realistic wood-look products available on the market. Showcasing stunningly realistic designs, these laminates are created using only 100 percent real cherry and oak hardwood cores. 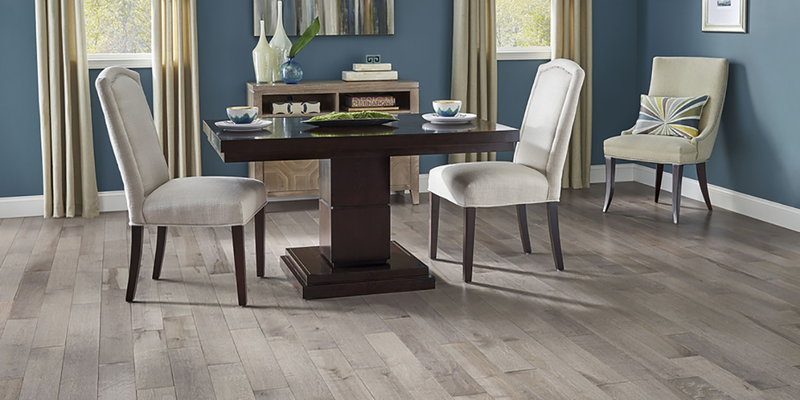 Tarkett provides the beautiful, warm appearance of traditional hardwood with the durability and damage resistance that only a laminate floor can harbor. The New Frontiers collection features traditional wood-inspired laminate floors with vibrant, inviting finishes with an exotic touch. 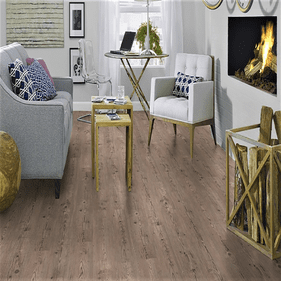 Trends offers a lovely variety of styles, replicating maple and cherry designs in colors that range from deep sanguine reds to light airy browns. With attractive lines such as these, almost any personality or taste can be expressed with a Tarkett laminate floor. 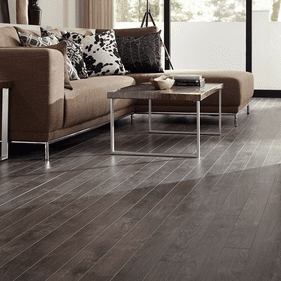 Tarkett laminate floors are excellent for high-traffic residential as well as commercial areas. Spaces with high exposure to children or pets are a perfect match for Tarkett, as these areas may incur a serious amount of wear and tear that only a laminate floor could hold up to for any extended amount of time. Impressive and resilient, they are not only long lasting and strong, but also look absolutely gorgeous. 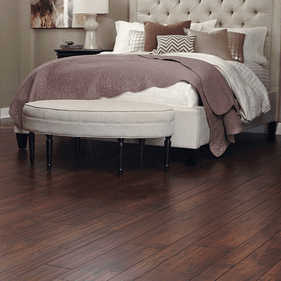 It is easy to make the mistake that these floors merely capture the appearance of a traditional hardwood surface. 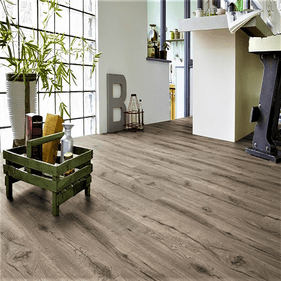 There isn�t any doubt that these laminates are designed with real life in mind; accidents happen, which is why these exquisitely attractive laminate floors are built to be as durable as possible. 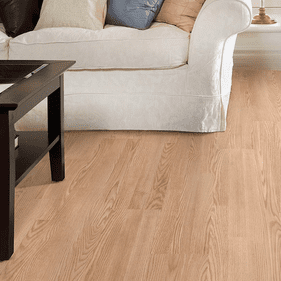 Take advantage of their easy-to-clean surface that requires little maintenance, and provide your home with the naturally beautiful appearance of a traditional hardwood floor without having to shell out boatloads of cash.